Sherilee L. Harper is an Associate Professor in the School of Public Health at the University of Alberta. Her research investigates associations between weather, environment, and Indigenous health in the context of climate change, and she collaborates with Indigenous partners to prioritise climate-related health actions, planning, interventions, and research. She is a Lead Author on the Intergovernmental Panel on Climate Change (IPCC) Special Report on the Ocean and Cryosphere in a Changing Climate (SROCC); Lead Author on the IPCC’s Sixth Assessment Report (AR6-WG2); serves on the Gender Task Group for the IPCC; and serves on the Editorial Board of Epidemiology and Infection. Carlee completed her baccalaureate degree at the University of Guelph in 2014, majoring in biological science. She is currently a thesis-based MSc student in epidemiology at the Ontario Veterinary College, working with Dr. Sherilee Harper. Her research focuses on drinking water and acute gastrointestinal illness (AGI) in northern Canada, in the Inuit community of Rigolet, Nunatsiavut. Her project makes use of an EcoHealth research framework to assess the contamination of stored drinking water and its possible associations with self-reported AGI. Her project also aims to understand drinking water consumption patterns in Rigolet and how they have changed over time with new drinking water infrastructure in the community. The ultimate goal of this work is to use the generated knowledge to help inform sustainable drinking water interventions to reduce risk of waterborne infections, and inform risk assessments and public health messaging in Nunatsiavut and other northern Indigenous communities. Amreen completed her Bachelors of Science degree at the University of Waterloo in 2016, majoring in Honours Biology (Co-op), and her Masters of Public Health at the University of Guelph in 2018. Her research interests include: change in infectious disease patterns affected by climate change, and food safety and security in Indigenous populations. Currently, Amreen is working as a Research Analyst in the Climate Change and Global Health Research Team. 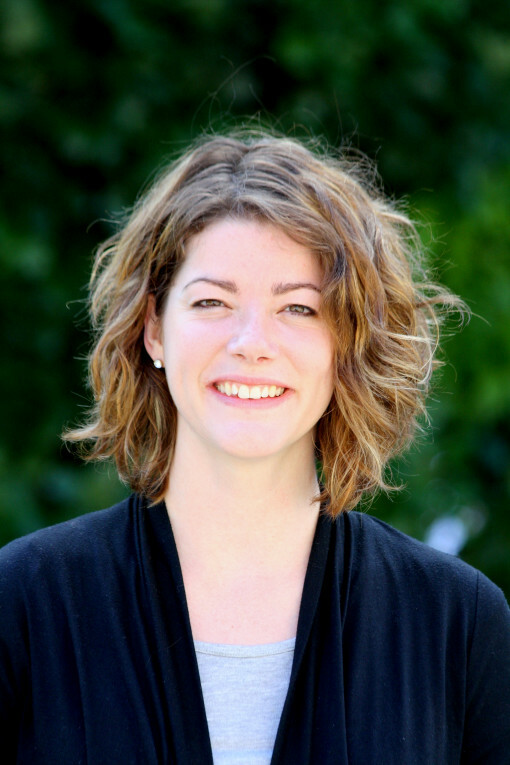 Katharine is currently working as a remote Researcher (based in Toronto) with the Harper Lab. She completed her MA in Cultural Anthropology at the University of Victoria in 2016, having obtained her BA in Global Development Studies from Queen’s University in 2013. Her graduate thesis explored processes of urban Indigenous identity-making and assertion, in collaboration with community members at the Victoria Native Friendship Centre in British Columbia. Katharine is committed to advancing reconciliation in the realms of research and evaluation. 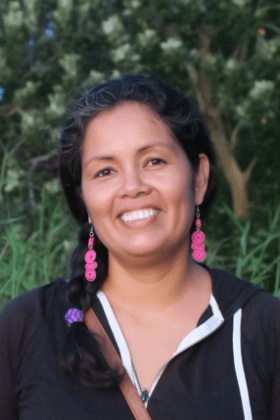 Her areas of interest include health policy in a climate change context, Indigenous community-led development, and the intersections of place and identity. Kate is a PhD candidate at the University of Guelph in the Department of Population Medicine (co-supervised by Drs. Harper and Sargeant). She completed an Honours Bachelor of Science degree at the University of Guelph in 2012 in Bio-Medical Science, and a Masters of Science in 2014 in Epidemiology. Kate’s undergraduate research focused primarily on gastrointestinal illnesses with a project on each of E. coli, Salmonella and the link between Johne’s disease in dairy cattle to Crohn’s disease in humans. Kate’s MSc introduced her to EcoHealth. Her thesis was titled: The Impact of Heat Waves in Rural Southern Ontario on Dairy Cow Mortality and Human Emergency Room Visits. Using statistical and epidemiological skills learned in her Masters, Kate is working on a project in Bwindi, Uganda, identifying seasonal and temporal patterns in acute respiratory infections and access to healthcare. Kate is particularly interested in the ability of clinical data to represent vulnerable populations. Kate is a PhD student in the joint program in Population Medicine and International Development at the University of Guelph. Her Masters in Health Geography from McGill University (Supervisor: Dr. Lea Berrang-Ford) focused on food security among the Indigenous Batwa of Kanungu District, Uganda. The food insecurity reported by the Batwa is among the highest in the published literature. Kate values a community-based participatory research (CBPR) approach and incorporates both quantitative and qualitative methods into her research. Kate is now shifting her focus to maternal and infant health among the Batwa, a key priority identified at the local and national levels in Uganda for her PhD. Additionally she is the database manager for the Arctic, Peru and Uganda for the Indigenous Health an Adaptation to Climate Change (IHACC) project. Alexandra is a PhD student in Public Health at the University of Guelph, where she graduated with an Honours Bachelor of Arts and Sciences degree in 2015. Broadly, she works at the intersection of environmental and human wellbeing. More specifically, her work involves the use of participatory, community-based approaches to develop deeper understandings of how changes in the environment impact various dimensions of wellbeing from the perspectives of Inuit living in Rigolet, Nunatsiavut, Labrador. Under the advisory and mentorship of profs. Sherilee Harper and Ashlee Cunsolo – and alongside Inuit community and government partners in Rigolet – Alexandra’s doctoral project involves the participatory development of a health- and environmental-monitoring and response program. Essentially, this program prioritizes the centrality of land-based relationships; indeed, for Inuit, well-being is ultimately rooted in deep, intrinsic, interconnected relationships with the land. It is therefore crucial to understand these land-based relationships in order to inform the creation of adaptive pathways for dealing with environmental change that enhance well-being in innovative, culturally-safe, and community-centered ways. The need for this program emerged from the many years this community has spent developing expertise in climate change research and strengthening relationships with members of the research team. Alexandra is honoured be a part of this team and have the opportunity to continue cultivating these relationships. Cultivating meaningful, lasting relationships necessarily involves stepping back, listening, and creating spaces that privilege Inuit voices and keep Inuit values at the heart of all conversations, decisions, and actions. In doing so, Alexandra hopes to engage in both research and community in ways that contribute to larger, ongoing processes of decolonization and reconciliation in Canada. Laura Jane is currently pursuing a collaborative PhD in Population Medicine and International Development Studies at the University of Guelph. She graduated with an Honours Bachelor of Science degree in Biomedical Science in 2015. During her undergraduate degree, she worked on a mixed methods project that analyzed health-seeking behaviour in response to acute gastrointestinal illness among the Indigenous Batwa peoples in Uganda, a population that was recently forcibly evicted from their ancestral lands. It was over the course of this project that she became interested in the importance of place to Indigenous peoples and its association with well-being. LJ’s doctoral research will involve learning about the centrality of place and connection to the land in Inuit conceptions of well-being, and how this may be associated with individuals’ experiences of healthcare provision. Dr. Danielle Julien-Wright was born in Grenada, West Indies and also lived in St. Kitts and Barbados before coming to Guelph to pursue a Bachelor of Science (Hons.) degree at the University of Guelph in 2000. In 2004, she started the Doctor of Veterinary Medicine (DVM) program at the Ontario Veterinary College (OVC). During this time, Danielle had the unique opportunity to travel to and volunteer in Kenya, Tanzania and Zimbabwe as part of the Global Vets program, and facilitated by Veterinarians Without Borders (VWB/VSF). Resulting from these experiences, Danielle recognized the importance of sustainable community health and the utility of combining veterinary medicine with public health efforts in the control and prevention of zoonoses (diseases shared between humans and vertebrate animals). She completed her externship in the New Forest, Hampshire, UK and in 2008 graduated from the DVM program. After one year in companion animal practice, Danielle worked on a contract project with OMAFRA and the Poultry Industry Council (PIC). In 2011 she left industry to pursue a Master of Public Health (MPH) at the Ontario Veterinary College. In 2013 she started her PhD. with Drs. Jan Sargeant and Sherilee Harper in the Department of Population Medicine and Dr. Catherine Filejski at the Ontario Ministry of Health and Long-Term Care (MOHLTC). Jen makes her home in Yukon where she has worked and lived for over 20 years. Her experience, both broad and diverse includes working with Yukon First Nation health and social departments and more recently evaluating health impacts in the context of resource development projects. Currently, Jen is a PhD candidate in the Department of Geography at the University of Guelph and is co-advised by Sherilee. She is a 2015 Trudeau Scholar and recipient of a SSHRC Graduate Scholarship. Jen’s work seeks to understand and address the impacts of colonization on Indigenous health and well-being in the governance of the extractives sector. Dr. Paola Torres Slimming is a PhD student in the Life Science program at UPCH in Lima, Peru. Her research interests focus on reducing health threats to vulnerable populations by trying to understand how diseases interact with social determinants of health, poverty, inequity. Paola is interested in finding novel ways of conducting effective studies that can bring primary health care level solutions by incorporating patient and community engagement through evidence based research. Jamie Snook was born, raised, and still lives in Labrador. As the Executive Director for the Torngat Secretariat he is often immersed in inter-governmental and research discussions about Snow Crab, Greenland Halibut, Northern Shrimp, Seals, Polar Bears and Caribou to name some of the highlights. Jamie is a PhD student, studying Public Health through the Ontario Veterinary College’s Department of Population Medicine at the University of Guelph. Jamie is interested in Indigenous co-management, environmental stewardship, sustainable utilization, traditional knowledge, wildlife management, public policy analysis, communications, community wellness, community engagement, and leadership. Jamie is also the Mayor Happy Valley – Goose Bay, holds a Business degree, a professional designation from the Canadian Institute of Management, as well as a Masters in Ethno-Political Conflict Analysis and Management from Royal Roads University. Jamie is well travelled having visited all of Labrador, the Canadian provinces and territories, and many international locations such as Cuba, Mexico, Dominican Republic, United States, Thailand, Russia, Ireland, Spain, Iceland, Greenland, England, Switzerland, Holland, France, Morocco, and Germany. Steven is a PhD student in Public Health at the University of Guelph, where he graduated with a Bachelor of Science in 2013 and a Master of Public Health in 2015. He is interested in generating, evaluating, and communicating evidence to inform programming and policy in the broad area of environmental health. After completing his Masters, he worked as an international consultant for various NGOs and research centres in Hanoi, Vietnam. Upon returning to Canada, he joined a Guelph-based consulting company and supported research and evaluation activities for projects relating to public health, local food, agriculture, and global food security. Steven’s doctoral research will explore the development and evaluation of approaches for monitoring changes in Indigenous food systems in the context of climate change. Amy is a registered dietitian who has spent over 15 years living and working in Nunavut. Amy’s work has centered on public health and clinical nutrition with Inuit communities, where she has been involved with a range of initiatives related to food security, Inuit traditional food, diabetes education, pediatric nutrition, and zoonotic disease & food safety in the Arctic. She has worked with – and learned from - community health representatives (CHRs), Elders, hunters, families, communities, researchers, health workers, governments and Inuit organizations across Nunavut. Amy completed undergraduate studies the University of Guelph, and holds a Master of Science in Human Nutrition and Metabolism from the University of Aberdeen (Scotland). Amy lives in Iqaluit with her family. Jacqueline is an incoming MSc student in Epidemiology at the University of Guelph working with Dr. Harper and Dr. Cunsolo-Willox. She graduated with an Honours Bachelor of Science degree in Life Sciences from the University of Toronto in 2014, where she completed a major in Human Biology and Psychology, and minored in Environmental Biology. This diverse academic background developed her curiosity in interactions between the physical environment and human health and has drawn her to the field of EcoHealth. Jacqueline’s time spent as a research assistant in Psychiatry has led to her interest in mental health and well-being in the context of climate change. Jacqueline hopes to further investigate this topic with her thesis while engaging community members through the use of participatory research methods. Vivienne is completing a MSc in Epidemiology at the University of Guelph. After graduating from McGill University with a BSc in Environmental Sciences, Vivienne was a research assistant for the IHACC Ugandan team. Inspired by an environmental health-focused exchange in a rural community in West Africa during her undergraduate studies, and her work experience in environmental consulting, Vivienne will continue to expand her understanding of environmental health research. Vivienne's thesis will focus on access to maternal health care services in rural Uganda using data she collected in visits to Bwindi Community Hospital in 2015. David is currently pursuing his Master’s as an MSc student in the Department of Population Medicine, co-supervised by Dr. Ashlee Cunsolo. He graduated with an Honors Bachelor of Arts degree in 2016 from the International Development program at the University of Guelph, winning the Excellence in International Development Studies Prize. On the side of his studies, he worked as a multimedia artist, producing video and photographic content that examined socio-economic and environmental issues. In 2016, he worked with WWF-Malaysia and other conservation groups to published a documentary film about tiger conservation relating to sustainable development in Malaysia. David is interested in continuing to produce research-based multimedia projects that address global health, socio-economic, and environmental issues. As part of his graduate thesis, David will be producing a research-based documentary film regarding the decline in the George-River Caribou Herd and the resulting effects on Indigenous health in Labrador. Under the supervision of Dr. Sherilee Harper and Ashlee Cunsolo, he will be working in collaboration with Inuit and Innu from Nunatsiavut, NunatuKavut, and the Innu Nation to tell the story of caribou from the voices, perspectives, wisdom, and experiences of people throughout Labrador. The film will aim to stand as a testament of traditional knowledge and Indigenous science related to caribou in Labrador, and educate both research and policy regarding caribou conservation into the future. Isaac is entering his third year of a Bio-Medical Science major at the University of Guelph. He has a wide range of academic interests, spanning human health, environmental issues, anthropology, and the philosophy of science. For the summer of 2017, Isaac will serve as an undergraduate research assistant in the Harper Lab, contributing specifically to the IHACC project. In following an ecohealth research approach, Isaac is committed to maintaining respectful, community-based practices when studying Indigenous health adaptations to climate change.